I had an early talk to give, and had performed in an improv show the night before, so I wore the same makeup. So there, I said it. It wasn’t my plan- it just happened. I am aware of all the judgements you have while reading this, some judgment and some relief, maybe both? This was not the plan of course, I am pretty good about washing my face before I go to bed. This time it didn’t’ happen that way, and you know what IT WORKED. If you know me, or have listened to my radio show, you are aware I have been lucky enough to create a work schedule that does not include being anywhere before 11am. This workshop began at 8am in midtown Manhattan. Other than not being healthy for my skin, what reasons was this a bad thing? When you think of these reasons, is it based on “the right thing to do?’ Who created these right things? Are you not my friend anymore, do you think I’m dirty? do you not want to follow the work I do? Once you answer those questions, ask yourself if those judgements matter to me…. Why am I writing this on my blog? Here is why. When you are thinking of “doing the right thing” for your child or your Self, as a parent or a human being, do you do what you think is what everyone else would consider the right thing? Or are you doing what works for your child and your Self? This is a great question when something you are working so hard to get done, isn’t flowing, or your child is fighting against what you think is best for him/her? Following a child’s lead (whether it’s your own, a child in view, or in your life) can show you what is really right. Children are connected to the truth WAY EASIER than we are. My suggestion is this: if something is not working out easily and feels forced, take a step back (literally) and think about why you dare doing it? Is it because it’s the right thing to do according to the social norm? Are you considering what people will say about you? Becoming mindful of these times will create less paddling up sh*t’s creek. Life could be lived without being so hard and forced. By squeezing too many errands or appointments into one day, each task is not done with full presence, you end up running late, and for what? To be a superhero parent? So you can you feel proud when talking about how busy you are? In the midst of the day of working hard to “do the right things” many moments are zipped through with all sorts of meaningful things ignored; thoughts, signs, beauty and most of all answers about bigger questions in your life. As we grow, and or get older, life can become easier and more manageable. If it isn’t, something must shift, or what usually happens is, you get sick. Your body tells you to stop and slow down. Living a life thats based on what works, vs. what your supposed to do makes all the difference. Aloha on this beautiful NYC day! Attached you will find several workshops that you should look in to and attend. Besides just posting these, I would like to discuss why it’s important to attend any conferences as a parent. I pass on all the information to the families I work with and I can say about 90% of the time, they do not attend. Besides the obvious reasons of great information being passed on here are some other reasons to attend workshops/talks and conferences. A well known question that comes up is “who watches my child while I’m at a meeting?” This is a great opportunity to introduce your child to a family member that is up for the challenge. I recommend as many trials as your child needs to stay with another person. Depending on the development and behavior of your child, begin slow. Leave the house with the beloved family member or trusted friend for 5 minutes, go mail a letter, get something from the car etc. Upon your return tell praise your child. By adding more and more time away from home, you are preparing your child towards independence. It is an important lesson your child learn that Mom and Dad have time away, this will alleviate any spoiled child from always getting what they want, special needs and typical alike. As I always say regardless of physical, developmental or mental disabilities, a child is always a child first. Your Beautiful Child Radio -First Show!! I’m not exactly sure what the statute of limitations is on using Aloha….but it sounds a lot more exciting then just hello;) Either way, GOOD MORNING! I am excited and a tad overwhelmed that my radio career begins today! Just returning home from my stay in Hawaii, I have unpacked, organized, welcomed Cooper (my baby dog) back into my life, and things are back to usual…. except, I was wide awake all night, I stopped looking at the clock at 4am. Ugh. Today’s radio show set me off into thinking of a million things I need to follow up on, do, and remember, oh and I had to move my car this morning. I am usually a good sleeper so needless to say I’m a bit wound up this am. As adults, most of us are lucky enough to be able to work these issues out, we can write lists, sleep with blinders, meditate, practice yoga etc. Most children are not taught how to manage stress. Without realizing many parents keep their managing stress a secret, they want their children to have continuous smooth sailing. I see children get the raw end of the deal when parents have a day that isn’t working and they are the ones who are forced to feel that negative energy. 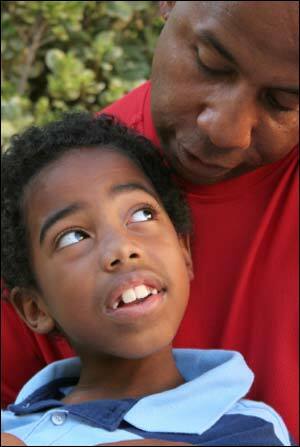 Whether your child is verbal or non-verbal speak with them. It actually hurts me when I am out and about and I hear children being spoken at. In their little lives they learn by actions. Ask yourself ,or someone you love (who won’t bite your head off) to think about what positive learning experience is a child l receiving when an adults stressful day ends up in their lap. If a child knows what is going on the night or morning before (depending on the child) they can learn so much. Communication, daily expectations, and managing time, are three major lessons. Keep a notebook or a list on the refrigerator, of a schedule or to do list. This will help your day tremendously, but also will lay out a plan for your child to understand, whether you think they do or not, it’s good communication process. It may take a long time to begin this process, but like any good habit, it takes a bit to make a regular practice. I like to make three sections, and keep it simple. I use stars, in order of importance. You should include all daily activities and tasks, even ones while your child is in school. At the end of the day there is nothing better then looking at a crossed off list, share this with your child! Dance in celebration, sing a “I did it” song! We all have special needs, luckily we have tools to help us through our tangled days. A child with special needs is sometimes referred to as “being in their own world,” well who isn’t in their own wold? Try driving down Flatbush Avenue in Brooklyn, the majority of people are in their own worlds. My overall advise for drivers of Flatbush and parents? SLowwwwwww down…. P.S. I’ll meet you on the radio later! Aloha friends and Happy New Year! Learning to make relaxing easy, fun and simple.